I have been involved in Middle Eastern and British politics for over three decades, and have not changed my political leanings significantly throughout. Was I always right? Hardly; but I see little need to change direction: opposition to racism and anti-semitism, to Zionism and Israeli oppression and occupation, and to orientalist western aggression in the south, as well as to the ravages of Globalism. If from this you infer that capitalism and colonialism are not my favorite apparitions of modernity, you may well have a point. After a long period of exile from Israel, between 1972 and 1995, I returned in the wake of the Oslo Agreement, sensing that some potential for action has been created, even if the intentions of the Israeli leadership were not at all to do so. 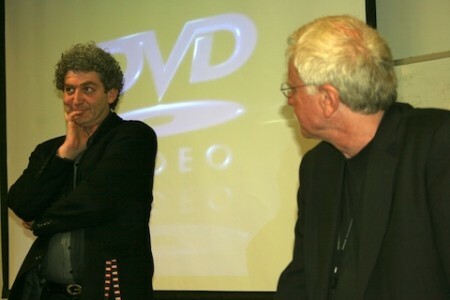 I have worked until 2002 at the Jerusalem Hebrew University (as a Visiting Professor) at Sapir College (as the Dean of the School of Media, Film and Cultural Studies, and Professor of Film and Media Studies) and at the Sam Spiegel Film School in Jerusalem (as a Visiting Professor). During that period I have worked with Qassem Ali of Ramattan, Gaza, in setting up a Palestinian Film and Media School in Gaza, a project cut short by the start of the Al Aqsa Intifada. I have also been the initiator and founding director of the Sderot Cinematheque, an innovative socio-cultural project designed to bring together the populations of Gaza, the Israeli-Jewish towns and villages of the south, as well as the Beduins of the Negev. This was another project hit by the Intifada, as for Palestinians, it became immediately impossible to cross the few miles into Israel. I have decided to resign my different positions, including the Chair of the Cinematheque, and my membership of the Israeli Cinema Council, and have moved back to Britain, to a position at the University of East London. One or two states in Palestine? Over the decades, some of the ideas discussed in our Khamsin group, combining intellectuals from a large number of countries in the Middle East, and which have been published in the journal Khamsin, first in French and then in English, have made it to mainstream circles in the MIddle East and beyond. Such an idea was for example the insistence, born in the the Israeli radical organisation Matzpen (led by Moshe Machover and Akiva Orr) that the Palestine question will be resolved by having two states for the two nations in Palestine. While at the time of its inception this was a radical (and indeed a ‘dangerous’ one, according to Zionism) idea and an interesting solution, taking into account the needs of both nations for self-determination, this has become, to my mind at least, a fig leaf used by Zionism and its western supporters; since 1993, it was used to control and cajole Palestine, to cover up the continuation of the oppression and military occupation, and to support the continuation of the Israeli settlement of Palestinian lands. It si clear to many that today, any arrangement which will leave Zionism and its military machine intact, and will not totally transform the society within current Israel, disallowing racist and colonial practices, is but an apology for militarised Zionism, and should be rejected by progressives everywhere, in the same way that we rejected the South African Apartheid state. For my own opinion on the issue, you may turn to Two States: Too Little, Too Late, an article I published in Al Ahram Weekly in Arabic and English. For a French version of this article, please turn to Deux Etats: trop peu, trop tard. In 2011, a group of Palestinian and Israeli academics and activists, led by Prof. Nur Masalha, has worked together to lay down a foundation for a single, democratic and secular state in Palestine. The result of their effort can be seen on the One State in Palestine website. Since 2003, when Stephen and Hilary Rose have first suggested suggested an Academic Boycott of Israeli institutions, many have come round to the view that such tactics, used during the Anti-Apartheid struggle, may be the only option left for the progressive movements outside Israel. 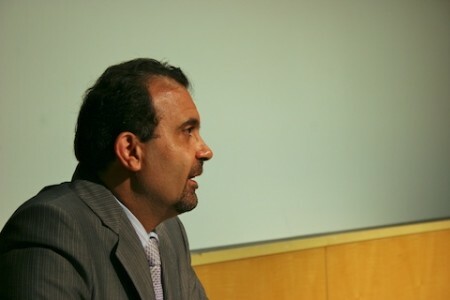 In a series of meetings held between 2004 and 2006, further action towards a boycott was building up. At a large meeting in London, during December 2004, arguments were made by a variety of speakers against Israeli Apartheid: my own speech can be read here, for example. In March 2005, a large meeting at University of London, under the banner Jews against Zionism, brought togethehr Ronald Rance, Alice Coy, Haim Bresheeth and Lenni Brenner, who argued strongly for urgent action against Israeli atrocities. The transcriptions and audio recordings of the talks are on the site. In May 2006, I felt compelled to resign from the Chair of the Jury position at the Cinema South international Film Festival in Israel, after it became clear that it is no longer possible to support such activities in Israeli universities and cultural institutions. I wrote a letter to Avner Faingulernt, the Festival Director, explaining my reasons for the resignation. In December 2006 I have signed, together with 93 others, a declaration led by John Berger, calling for a Cultural Boycott of Israel. In Britain, both academic unions, NATFHE and AUT, had instigated different versions of a boycott through their respective Annual conferences and Resolutions. As both unions have amalgamated in 2007, all such policies were in abeyance. 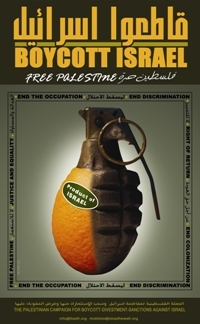 During 2006, PACBI, the Palestinian organisation coordinating academic and cultural resistance to the occupation by Israel, has called upon academics elsewhere to boycott Israeli academic institutions. This call was heeded by BRICUP, the British Committee for Universities of Palestine, by then a well-established organisation, which extended this call to all British academics. 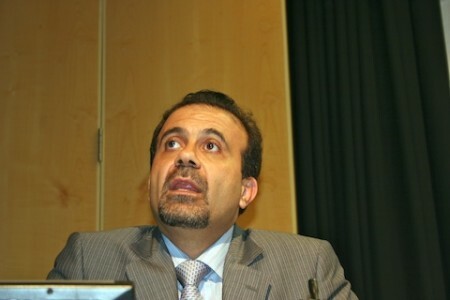 In May 2007, the first Annual Congress of the new union, UCU, has passed Resolution 15, calling for a delegation of Palestinian academics to be invited, for Branch meetings to discuss the call by PACBI, and to vote on their preferred option for action. The UCU leadership have then obtained a legal opinion, kept secret to this date, which they have argued proved that an academic boycott of the kind propsed in Resolution 15 was ‘illegal’ and against the UCU tenets. As those lines are written, the issue has not been resolved, and new resplutions suggesting further action are now being drafted for the May 2008 Annual Congress of UCU. 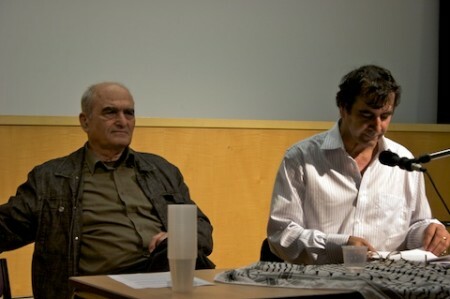 This two day conference, on May 15th and 16th, 2008, was held to commemorate and re-examine the Palestinian Nakba froma contemporary perspective. The full programme of the conference can be gleaned here. In order to view video material of some of the sessions, please use this link. 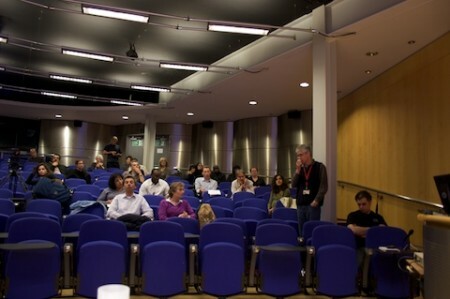 Below you can see photographs of speakers in some of the sessions.